The Raiders and Bolts open up week 10 with a Thursday night matchup, and the Raiders after falling to the Broncos last week are in dire need of a win to stay in the race in the AFC West. Below is our week 10 preview, complete with keys to the game, as well as our prediction for the matchup in San Diego. 1. Palmer Needs to Be Mistake Free – This matchup features a pair of quarterbacks that have been quite error-prone as of late, a major reason why both these teams are mired in losing streaks, and whichever one can keep his mistakes to a minimum on Thursday figures to have the best chance of coming out a winner. Turnovers also played a big role in Oakland’s two victories over the Chargers last season, with San Diego giving the ball away five times while forcing only one from the Raiders in those two games. 2. Stop Ryan Mathews – The Raiders have surrendered a mere 68.3 rushing yards per game in their four 2011 wins and a whopping 196 per game in their four defeats, so it’s pretty apparent that how the defense fares in that area will go a long way to determining the team’s success. San Diego should have a relatively healthy Mathews raring to go on Thursday, and it may behoove the Bolts to feed the young back the ball, as they’re 3-0 this year when he’s rushed for 80 or more yards. 3. 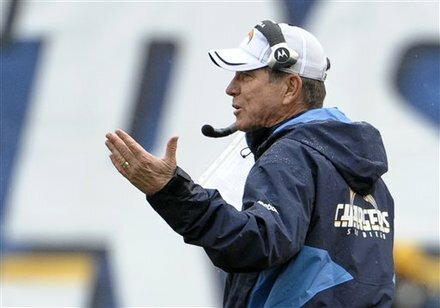 Be Special with the Special Teams – San Diego’s main source of agony last season, this all-important aspect came back to haunt the Chargers in the Week 5 meeting of these teams in 2010, with the Raiders blocking two punts that resulted in a touchdown and a safety in an eight-point win. Oakland also has an extremely dangerous kick returner in Ford, who’ll be taking on a San Diego squad that hasn’t been strong in kick coverage this year. However, the Raiders have been one of the worst teams in football in covering punts, yielding a troubling 17.3 yards per runback as well as two touchdowns through the first eight games.